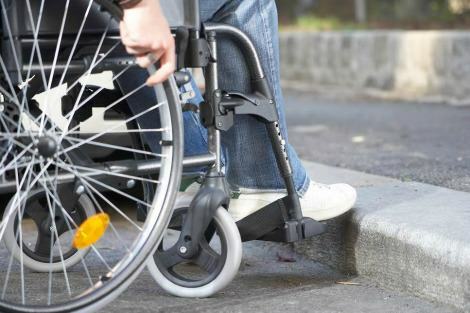 Although there have been many changes for the better over these decades — in the birth of the disability rights movement; in improved access to the built environment, public transport, education and technology; in anti-discrimination legislation and especially the introduction of the NDIS — the status of people with disabilities remains as a marginalised and often despised group. Many people still believe our lives are not worth living. "Choosing death over life with disability is perceived as noble, brave and compassionate. Well those 15,000 of us currently living with spinal cord injury in Australia would beg to differ." So an event like Spinal Cord Injury Awareness Week (5–11 September) is vitally important to enlighten the general public about the reality of the lives of people with spinal cord injury. This week (5-11 September) is Spinal Cord Injuries Awareness Week. We need more eloquent and powerful protests like this. It's dangerous to take for granted our society's commitment to just and humane treatment of all its citizens - as soon as there's pressure, particularly financial pressure, we start looking to find those who have fewer human rights than we do. Disguising financial necessity as loving mercy is just the beginning..
An outstanding article. I suffer from Fibromyalgia, Osteoarthritis and Thoracic Spondylitis and at the age of 38 carry at walking stick with me and in public I suffer the same discrimination that you detail here in this article. You speak for all people here with disabilities with the words you have written. I am so sick of being thought of as a burden to society when it is not a lifestyle choice to acquire a disability. It just happens without your consent. People without disabilities need to understand that we too are just as human as they are with hopes, dreams needs and wants. Ours are just as valid as theirs. Once they recognize that fully, then I think profound change will happen. Good to read a strong critique of the dangerous attitudes towards disabled people. For too long, people in the public sphere have been nauseatingly sucking up to Singer for decades, and any counter voices have been shouted down as wowsers. Timely article. I work in the disability sector. My clients have severe intellectual disabilities. They can be confronting at first, and many people don't take the trouble to get to know them. When you do, you appreciate them for their courage, generosity, love of life and for their unique personality and take on the world. In ''the old days'' (in some cultures at least) those with intellectual disability (e.g. the ''village idiot'') were thought to be specially chosen by God, and treated with kindness and compassion. Now the likes of Peter Singer say these 'special' people are no more than a burden on society. Singer has even suggested people with severe disabilities should be killed at birth. It is appalling that this man, with his ignorant, cruel and arrogant attitudes toward the disabled, is feted around the world. He should be shunned. Bravo, Joan. Your story is one of extraordinary courage, hope and respect for life. You are a wonderful example to us all. Thanks for the article Joan and many blessings to Matthew Cheyne for reminding us of the bravery ,resilience and perseverance of people who live with daily challenges. Accepting our limitations and remembering how each of us is special , unique and lovable can do wonders for our own self esteem and can be a great gift to offer to others. Pain admittedly is a "bummer" Matt but maybe, just maybe it makes those good days even better while the challenge of living with it can lead us to a state of awareness that certain people will never know. Thanks for your message. You will be in my thoughts . Thank you for your excellent article. I recall the richness that has come to my life by my interaction with people with a disability. Joan all the best in your endeavours to have all people with a disability be treated with the dignity very human person deserves. As if people with disabilities don't have enough to deal with without the utilitarian types like Singer. Christ have mercy. The more we see, meet and greet people, who just happen to have a disability, the more we learn to appreciate differing capabilities. Dear Joan, Thank you for the clear exposition of prejudices and for your lovely self. Your lucidity and sheer intelligence re the issues relating to attitudes to people with disabilities is exceptional . Thank you . Thank you Joan. An excellent and timely reminder of the deep trends underlying our attitudes and the potential for abuse at so many levels. Thank God for people of your courage and insight. Thank you Joan for an intelligent, passionate and eloquent article. Thank you, Joan, for this thoughtful and passionate article.